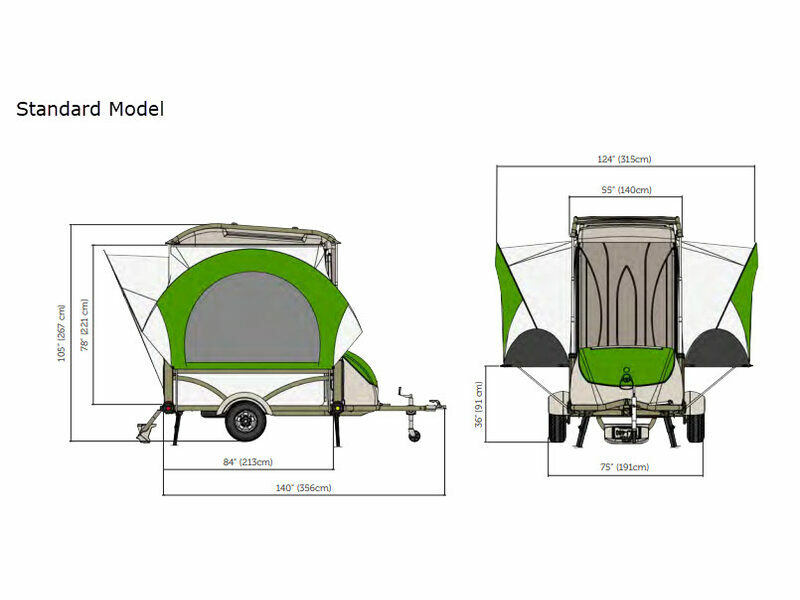 If you enjoy camping under the stars with all of the sounds and smells of the outdoors, you will love the tent system in this SylvanSport GO camping trailer that can easily be set up in minutes. When it is time to move on, the tent stores neatly into the roof storage box, and if you enjoy a bit of off-road riding, just raise the roof and enjoy the cargo area for a couple of dirt bikes, or even a quad. The Control-tilt cargo bed allows you to easily load without the use of ramps. Once you reach your destination, you can easily set up the tent system and stay awhile, or make it just a day trip and enjoy. There is also a lockable front storage box for all of your things. The GO camping trailer from SylvanSport is your gear-moving headquarters with LED lights, custom alloy wheels including high-flotation tires, and a lightweight, powder-coated aluminum frame that you can tow with just about any vehicle! The GO will easily transport six kayaks up on top, or even 6-8 bicycles with four on top and more inside. The storage space and hauling can easily be configured to accommodate almost any job. You can even remove the top and create an open top utility trailer where you can load your garden tractor and equipment to haul it across town. 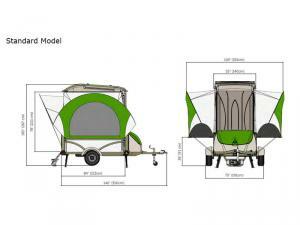 Head out on your next adventure with the most unique camping trailer out there. It's like a backpack on wheels!